To get into this field, there are certain requirements that must be fulfilled to become a forensic scientist. You will need to get the specified education and fulfill some basic qualification requirements, before beginning the application process and training. The minimum requirement to get an entry level job as a forensic scientist is a bachelor’s degree. It would be ideal if you get a bachelor’s degree in forensic science, though majors in natural sciences such as chemistry or biology may work as well. A four-year long bachelor degree in forensic science would typically cover subjects such as statistics, computer modeling, biochemistry, pharmacology and criminal justice, along with extensive coursework on physics, chemistry and biology. Even though this is not a requirement for entry level positions, most specialized positions require a master’s degree. For instance, if you plan on working in forensic science areas such as ballistics, toxicology, digital and multimedia sciences or forensic engineering, you will need a higher qualification to deal with the increasing technicality of the subject matter. In addition to standard classroom instruction, master’s students will also get a lot of hands on experience through practical lab work and might have to complete a thesis to graduate. Some particular fields of practice relevant to forensic science may require a doctoral degree. The doctorate program would typically be in a broader field, with forensic science as a subject along the way. For instance, those who intend to become forensic psychologists would have to get a doctorate in psychology. Similarly, forensic pathologists and forensic psychiatrists are medical doctors who would need a PhD to practice in their field. The application process largely depends on the kind of position you are applying for and the organization you intend to apply to. Organizations hire forensic scientists on a need basis; therefore you will need to conduct a thorough research on where you want to end up working. You may choose from careers like Forensic Medical Examiner, Forensic Engineer, Forensic Accountant, Crime Scene Investigator, Crime Laboratory Analyst, Arson Investigator, Crime Scene Photographer and so on. To get a job as a forensic scientist with any of these job titles, you will need to look for organizations that are hiring for these positions. Once you have narrowed down your research, simply visit the company’s website and get the application requirements. The training requirements would also largely depend on the organization you work for. For instance, if you are a forensic accountant and have secured a position at the FBI, you will be required to complete a six-week training program after getting hired. The training would cover aspects of forensic accounting, such as financial investigation methods, techniques and tools, etc. Similarly, training requirements for those who want to join the police force as forensic investigators would include becoming a police officer first, and then training as a forensic investigator according to the specific requirements of the police department. Training requirements for arson investigators would involve becoming a firefighter first, and then enrolling in an arson investigator training program. This specialized program would focus directly on fire investigation, analysis, research and reporting. In short, you would need to determine your career path and the organization you want to work for, in order to get specific training as a forensic scientist in that particular industry. Career development in the field of forensic science will be mainly done on the basis of higher education qualifications, certifications and job experience. The job growth in this field is at the rate of 17% according to the US Bureau of Labor Statistics, with a lot of new jobs expected to be added in the upcoming years. So, the future of forensic science is certainly bright – you just need to be aware of the right path for you to excel in this field. With television series like Bones and Sherlock Holmes, the jobs of law enforcement agents and forensic scientists seem more fascinating than ever before. As the law enforcement fraternity grows, forensic science is becoming a particularly popular choice among many science students. If you are among those who want to learn about how to become a forensic scientist, then keep reading. 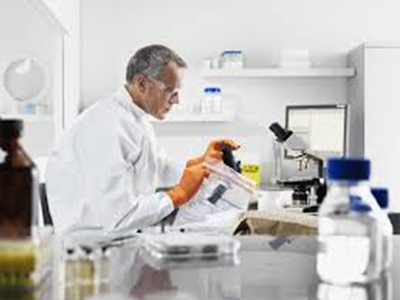 Forensic Scientists apply science to the investigative processes in various types of cases. They use their knowledge to assist the police, judges, lawyers and juries in drawing conclusions about different cases. Forensic Scientists analyze crime scenes, gather relevant evidence and then examine it in labs. They are also responsible for preserving crime scenes and ensuring that all useful evidence is recorded for later use.